Lorazepam is an antianxiety medication that is prescribed to treat anxiety disorders. It acts on the central nervous system and affects the way chemicals are produced in the brain. Lorazepam is a prescription-only medication that has addictive properties. As a consequence, Lorazepam addiction treatment may be necessary to help people overcome an addiction to the drug. Factoid: Lorazepam was introduced in 1977 and is marketed under the brand name Ativan. In addition to treating anxiety, the drug is prescribed to treat insomnia, acute seizures, and to sedate aggressive patients. Lorazepam has been found to be physically and psychologically addictive. It is only recommended for short-term use (approximately two to four weeks). If a person uses Lorazepam for more than four weeks, he or she risks developing a tolerance and becoming addicted to the medication. At that point, Lorazepam addiction treatment may be needed to cease using the drug. Not every person who abuses Lorazepam will become addicted to the drug. Additionally, people who use the medication as prescribed may become addicted to it by accident. Although Lorazepam is considered safe to use for up to four weeks without fear of developing an addiction, people have reported becoming addicted to the medication after using it for seven days. Oftentimes, people who abuse or are addicted to drugs attempt to downplay or conceal their problem. It may be difficult to face the possibility that you or someone you know is addicted to the prescription medication Lorazepam, but you don’t have to face this problem alone. There are many Lorazepam addiction treatment facilities available that can assist you or your loved one with overcoming an addiction. “The most common health problem that arises from Lorazepam abuse is decreased memory function.” As noted previously, Lorazepam should only be used for a short period of time. Continue use of the drug beyond what is considered safe can lead to the development of health complications. The most common health problem that arises from Lorazepam abuse is decreased memory function. 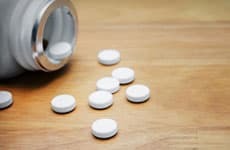 A person who uses Lorazepam and similar short-acting drugs like triazolam may have difficulty storing acquired information into his or her long-term memory. This can have a serious impact on the person’s life. For example, a student who takes Lorazepam may do poorly on exams because of the inability to retain the material he or she studied. The likelihood of withdrawal symptoms developing directly correlates to how long a person uses Lorazepam and the dosage amount consumed. Possible withdrawal symptoms a person may experience when he or she stops using this medication independently or though Lorazepam addiction treatment include convulsions, abdominal and muscle cramping, vomiting, sweating, tremor, anxiety, rapid heartbeat, hallucinations, and hypersensitivity to light and sound. Continued use of Lorazepam typically causes increased drug tolerance. This puts a person at a higher risk for a drug overdose because he or she will have to take more of the drug to produce the same affect. Signs of Lorazepam overdose include dizziness, nausea, ataxia, respiratory depression or arrest, mental confusion, coma, and impaired motor function. A person displaying signs of drug overdose require immediate medical attention and should be taken to a hospital right away. Lorazepam is categorized as a benzodiazepine drug and can produce all five of the effects associated with that class of drugs: amnesia, convulsion prevention, muscle relaxation, reduce nausea and vomiting, and reduce feelings of anxiety. Immediately ceasing the use of Lorazepam is not recommended. The withdrawal symptoms that develop afterwards can be life threatening depending on how long a person used the drug and the dosage amount he or she had been consuming. Instead, a step-down method should be used to assist the person with overcoming an addiction to Lorazepam. The first option is to gradually reduce the dosage of Lorazepam until the person has completely stopped consuming the drug. This is best for people who no longer have a medical need for the medication. Although it will take longer to get through the Lorazepam detox stage, this method is safer than quitting cold turkey and may make it easier to reduce psychological dependence on the drug as well. An alternative method is to gradually switch the person over to an equivalent dose of diazepam. Also known as Valium, diazepam is prescribed to treat many of the same medical problems as Lorazepam. It can also cause some of the same side effects. This treatment option would consist of providing the patient with mixed doses of Lorazepam and diazepam until he or she is only consuming diazepam. The person would continue to consume this medication for a short period of time and then begin dose reductions until he or she has completely stopped using the drug. The primary benefit of switching to diazepam as part of the Lorazepam addiction treatment is that the withdrawal symptoms associated with diazepam are less acute. This is because the affects of diazepam last longer than Lorazepam. No matter which method is used to help you get through the Lorazepam detox process, it is best to work with a qualified professional. Benzodiazepine drugs like Lorazepam account for approximately 60 percent of drug-related suicide attempts that involve the use of pharmaceutical drugs. The purpose of detoxification is to get the drug out of your system so the body can function normally again. Elimination of the toxins associated with the drug is also essential to preventing a relapse into addictive behaviors. Residue left behind by consumption of Lorazepam can cause cravings that may induce the person to seek out the drug. Lorazepam detox can take 10 to 28 days or more depending on the individual’s circumstances. In addition to Lorazepam dosage reductions, a treatment center may employ other therapies that support the detoxification process. For example, a patient may be put on a special diet or encouraged to participate in an exercise program to help the body purge residual toxins. It is important to discuss any preexisting conditions you may have with the doctor or clinician before starting a Lorazepam addiction treatment program. Any health complications you have will affect how your addiction is treated. There are some medications that cannot be combined with Lorazepam, otherwise unpleasant or dangerous side effects will develop. The doctor or clinician will need to know your health details in advance to avoid the possibility of life-threatening problems occurring. Additional medical or mental health complications may develop during or after Lorazepam detox. For example, it is common for a person to experience depression or anxiety after he or she stops using the medication. To maintain your overall health, discuss any and all symptoms you may be having with the addiction specialist. Medicinal, psychological, or lifestyle-oriented therapies may be prescribed to assist you with dealing with health problems that might arise. “…ask people who have participated in an addiction treatment program.” Another great way to find a treatment center is to ask people who have participated in an addiction treatment program. The main benefit of asking someone you trust for a referral is he or she can provide a firsthand review of the program. The person is more likely to tell you the positive and negative aspects of the program, which is information you need to make a good decision about your Lorazepam addiction treatment. A third option is to use the Internet to search for treatment centers, particularly if you don’t want to be treated at a facility in your local area. A simple search on Google or Bing can uncover the names of hundreds of addiction treatment centers all over the world. However, it can be a challenge to separate the good facilities from the bad. If you find a rehab center using the Internet, seek out reviews of the facility by people who have actually used its services. In addition to independent websites and blogs, reviews of treatment facilities can be found on business review sites like Yelp. Google and Bing have directories of businesses – called Google Place Pages and Bing Local respectively – where people who have used the services of the business can share their experience. What type of services does the center provide? Are services provided on an outpatient or inpatient basis? Are alternative treatment options available? How much does the program cost? Does the facility take insurance? Are there other financing options available? Does the facility treat co-occurring disorders or health complications? How will the program assist with reintegration into society? Can friends and family members visit? Is counseling available for friends and family members? What is the area surrounding the facility like? Does the facility provide aftercare? Although you want to be treated for a Lorazepam addiction as soon as possible, take time to choose a good treatment facility that will help you achieve and maintain your sobriety. Although you will be receiving help from trained professionals, you are ultimately responsible for your recovery from Lorazepam addiction. Here are a few tips to follow to increase your chances of success. Maintain a positive attitude – Even if you have gone through a drug rehab program before, it is important to enter treatment with a positive and hopeful attitude. It has been shown that people with a positive attitude are more likely to complete a drug rehab program and maintain their sobriety. Be honest – There is nothing to be gained by being dishonest about your drug addiction. While you may feel uncomfortable sharing information you would prefer to keep private, the counselors will be in a better position to help you if you are honest with them. Also being honest with yourself is essential to understanding the underlying cause of the addiction and avoiding a relapse into destructive behaviors. Keep going – Sobriety is a life-long commitment. In addition to following the advice of the counselors at the treatment center, you should endeavor to create a network of support once you leave the treatment facility. Joining a 12-step program is an excellent way to obtain the support and continuing education needed to maintain your sobriety. With the right treatment and support, it is possible to overcome an addiction to Lorazepam. Contact our free national referral hotline at 1-888-287-0471	Who Answers? to find the best Lorazepam addiction treatment program for you.